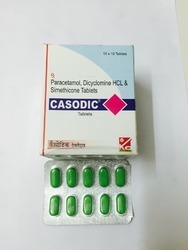 Manufacturer of a wide range of products which include dicyclomine simethicone tablet and antispasmodic tablets. Mefenamic acid decreases uterine contractions by prostagladin sysnthesis. 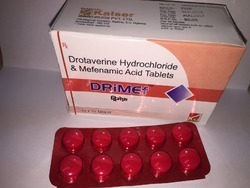 Composition :Each film coated tablet contains: Drotaverine Hydrochloride 80mg + Mefenamic Acid IP 250mg + Excipients q.s. Looking for Antispasmodic Medicine ?